A Aluminum & Rescreening offers more than just screens and pool enclosures. 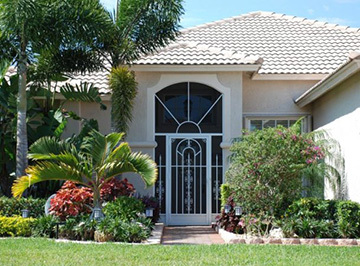 We offer Pasco, Pinellas, Hillsborough, Tampa Bay and the surrounding areas other services that help beautify and increase the value of your property. We offer homeowners many other services in one convenient location. Let us show that we are more than just screens and gutters! Call A Aluminum & Rescreening today for Pet Door Installation, Super Gutters, Soffit and Facia repair and replacement. 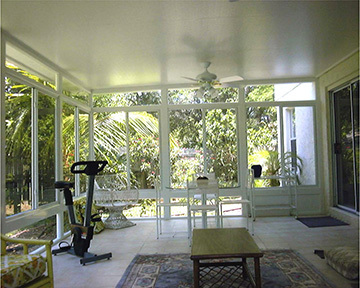 Constructed of aluminum extrusions that meet or exceed Florida building codes, Screen rooms provide you and your family outdoor enjoyment without the annoyance of insects or the worry of inclement weather. Allow our professional staff to help you design and construct the perfect addition to your home. Choose from a large variety of colors! 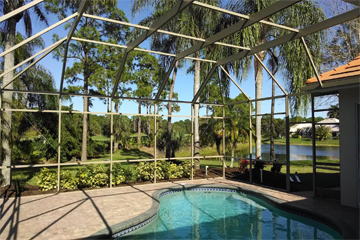 A Aluminum and Rescreening is excited to now offer expert painting of your pool cage and/or lanai. Over the years, pool cages/aluminum structures suffer from oxidation, flaking and fading color. Utilizing state of the art technologies and the highest quality paint and materials, A Aluminum & Rescreening can rejuvenate your structure for a fraction of the cost of a new one. Our process not only allows you to choose a color other than the standard white or bronze, it saves you time, expense, and aggravation. Rather than replacing your enclosure entirely, allow one of our experienced estimators to assess your structure and provide you with a free estimate. 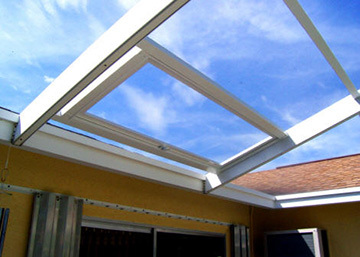 Adding an aluminum roof to your outdoor area makes a great addition to your home and offers you a cost-effective approach to maximizing your recreational space. This area can be left open or screened-in, whichever you choose. 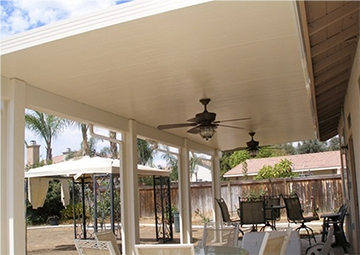 Our Elite roof features fully-insulated, pre-finished panels that can be wired for ceiling fans or exterior lights. A Aluminum and Rescreening Co., Inc. offers the homeowner several design options and will build your roof with uncompromising quality products and workmanship. 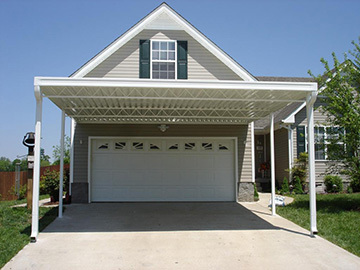 Engineered to the most recent Florida building code, our carport covers are customized to provide the homeowner with an attractive solution to coverage and protection. 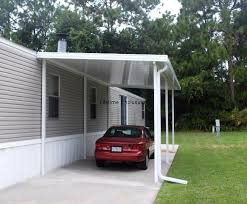 Featuring attractive styling, our carport covers need no maintenance and can be constructed to include gutters, downspouts and exterior lighting. Call A Aluminum & Rescreening, Co., Inc. to speak with a technician who can assist you in designing the carportcover that best meets your needs. 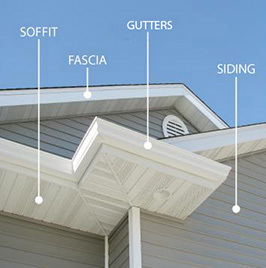 Soffit and Fascia not only improves the aesthetic appeal of your home but also serves to protect its exterior from water and pests. 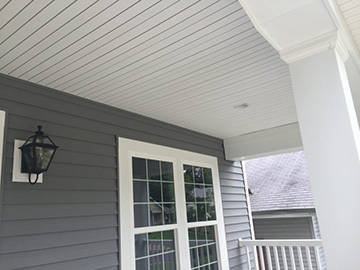 A Aluminum & Rescreening offers soffits and fascia in a variety of materials that provide easy maintenance and durability. Our vinyl soffits are available in a smooth or wood grain finish with trim products to complement the style and architecture ofyour home. Replace your old drywall ceiling with a beautiful non-vented, vinyl ceiling. Did you know that you can have an access door installed in your pool enclosure that will simplify entry to your roof and gutters? Each unit features a rugged extruded aluminum frame, rust-free hardware and are custom-fitted to your roof panel. 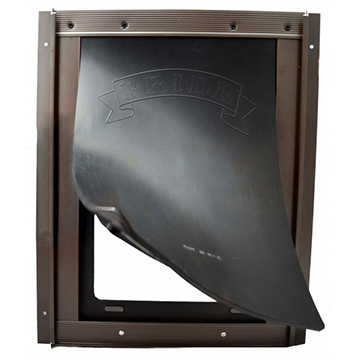 Pride Pet Doors Deluxe Pet Door is constructed of extruded aluminum with a frame including locking cover track for both sides of the door or wall. These pet doors are available in White or Bronze and come in a variety of sizes. The flap is a heavy, black rubber that is particularly durable. They also have permanent magnets to keep flap closed which eliminates drafts or dust. Designed with a sturdy extruded aluminum frame with an anti-corrosion anodized silver finish. A rigid hardboard security panel slips easily into guides on the inside or the outside of the frame door to lock pet inside or outside, and for added security. Can be installed in doors or walls. Note: Some installations may require framing to fill in gaps between walls. Small: Outside dimensions are 9 x 10-1/2 inches. Flap size is 4-3/4 x 7 inches. Medium: Outside dimensions are 12-3/4 x 15-3/4 inches. Flap size is 8-1/2 x 12-1/2 inches. Large: Outside dimensions are 15-1/2 x 19-3/4 inches. Flap size is 11-1/2 x 17 inches. PCA Products screen doors includes a full spectrum of decorative screen entry doors for the front of the home and for screened in porches which range in design from simple to sophisticated. 70 styles and 5 colors make it easy to find a design to enhance any architectural style. In addition to installing new doors, we can also provide service to replace your door hardware, inclusive of handles, door pumps, hinges and bugsweeps. A Aluminum & Rescreening is located in New Port Richey, Florida, and provides exceptional aluminum and screening services that will help enhance your property. Family-owned and operated, A Aluminum & Rescreening is committed to providing exceptional service through experience, competence, and professionalism. If you are in need of professional rescreening or aluminum services at an affordable price, contact us today. Our trained professionals are ready to develop a plan of action that is best suited to your unique needs. When you are ready to increase the value of your property or to rejuvenate its appearance, call A Aluminum & Rescreening at 727-236-6492, or contact us Online to learn more about our services, or to arrange for your FREE ESTIMATE.